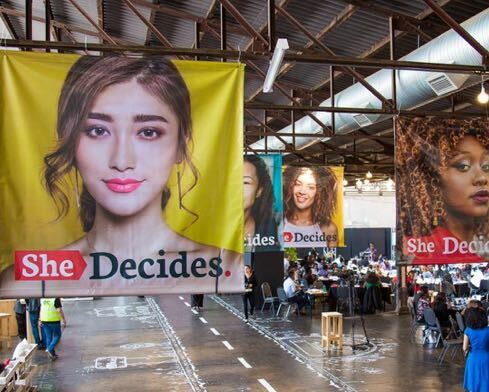 Together with our partners from the Danish Embassy and the United Nations Population Fund City Property was proud to host the movement SheDecides at 012central earlier. This flagship event coincided with human rights month, with politicians and young leaders from all over Africa gathering to mark the first anniversary of the United Nations’ SheDecides conference. The 012central precinct, which is proudly managed by City Property, proved to be the perfect setting for the conference that featured TED-style talks and panel discussions, art and performance and challenged the status quo on women’s rights. "City Property supports any initiative that promotes women's rights and fosters a better understanding across our city and are proud that our venue was associated with such a prestigious event," said Wapnick. The group promotes, provides, protects and enhances the fundamental rights of every girl and woman. The action group believes that every girl and woman has the right to do what she chooses with her body; she has the right to health – and these rights affect her personal development, her participation in society, her livelihood and whether her family and community thrives. Click here to read the post event press release.